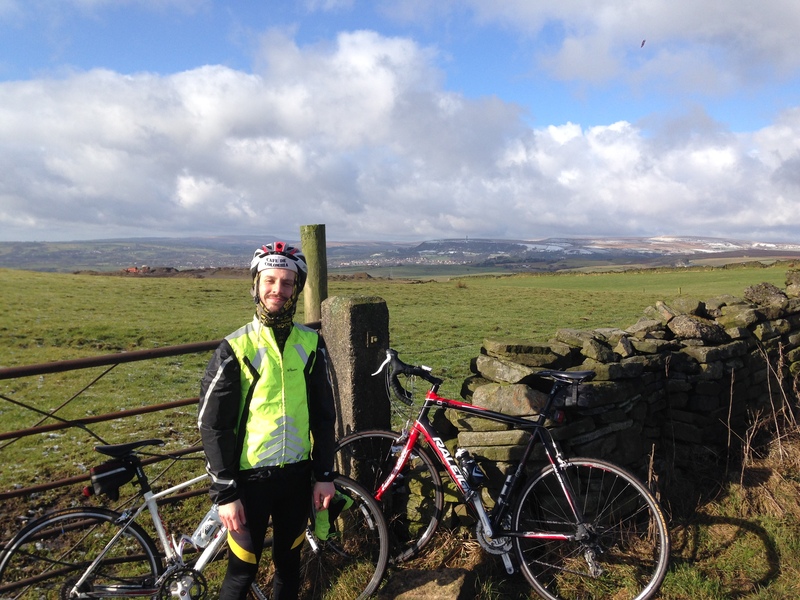 March’s ride was somewhat of an attendance and meteorological washout. Various circumstances meant a number of people couldn’t attend and unfortunately there were no Allez Prestwich newbies waiting for me and my old faithful friend, Mr Knox, when we rolled up to the usual meeting point on Saturday 21st February. If you were basing your decision based purely on weather terms, I think at points they may have made the right one. Rich and I got off to a bad start as my garmin just wasn’t playing ball, telling us to ‘turn left’, ‘go right’ , ‘make a u-turn’ in a frustratingly arbitrary manner. Not good. Anyhow, at least we’d get a decent dry-ish ride with not too much wind, right? We’d been perusing our weather apps while scoffing our breakfast of blueberry porridge and weak coffee (Sorry, Rich) back at Chez Allez P and it wasn’t looking too bad for the short couple of hours we’d be out. It wasn’t quite an error (lie) of Michael Fish-gate proportions on part of the forecasters but at times it didn’t feel far off. In the mere 6 miles we’d covered as we skirted Heaton Park’s southern edge, crossing the motorway bridge to head to Heywood, we’d encountered wind, rain, a tiny bit of blinding sunshine, rain, more wind and the pièce de résistance: a hail-snow-sleet concoction that I don’t mind if I never experience again. As Rich and I came down to the junction with Pilsworth Road – my garmin told me to go left, we went right – the hail was the final straw and we burst into laughter at the ridiculousness of the current situation. The weather got a little sunnier at least. I’m pleased to say that the ride and the weather picked up from here on out. I’d purposefully chosen a particular climb for the route, one that would really test people. 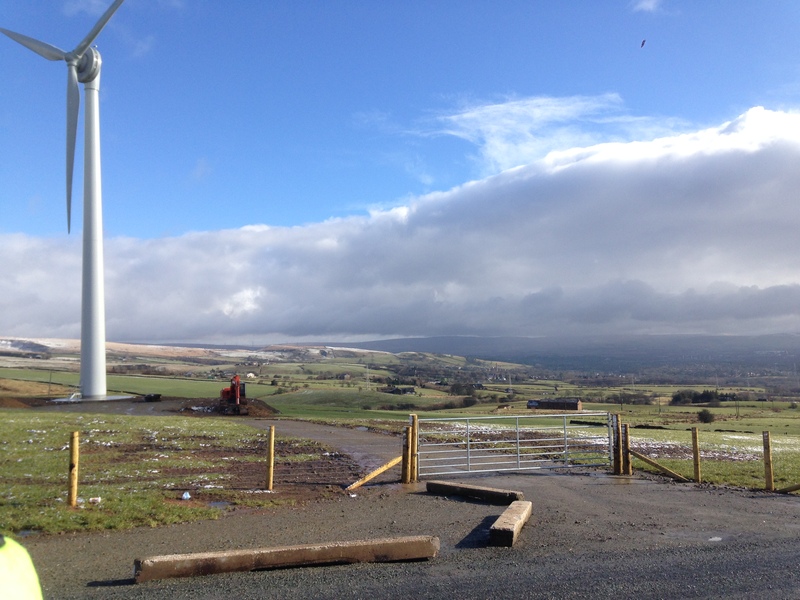 It’s the Ashworth Road climb that snakes its way up from Bury and Rochdale Old Road, peaking at the wind farm and eventually joining up with A680 into Edenfield. Save for a couple of issues with a knackered rear dérailleur, this was really enjoyable section of the ride. The road winds it’s way up the hill, getting less industrial and more ‘country’ the more you scale and the changing landscape allows your mind a brief respite from the challenge of the climbing.The hill ,in my opinion, is a real tester, especially in these late winter months when only the most dedicated of the cycling community are in any kind of reasonable shape. With quite a few double digit percentage gradients, Rich and I both really felt it (our average speed of 5mph over this section should be testament enough to that fact). Alas, a stop at the top, near the wind turbine, was a really nice reward as we had great views as the cloud had now dissipated. We munched a few little snacks down, wet our whistles and moseyed on. After a little more undulating terrain, the descent down into Edenfield was a nice rest for the legs and we had some nice views of the hills that surround this part of the world. Although it was now sunny, it was quite chilly, so Rich and I took the executive decision to slightly amend the route and head, I admit unimaginatively, back down the A56 to Prestwich. What this meant was a primarily downhill ride for most of the way back. Lucky for me, as I got excruciating knee pain (boo) around 16 miles in and I could tell making it back was not going to be the most pleasant experience. The discomfort and cold aside, the next 8-10 miles were pretty enjoyable in terms of me and Rich just getting our heads down and keeping a pretty decent average speed over this section. So a ride of ups and downs; a huge thank you to Rich for enduring it with me. 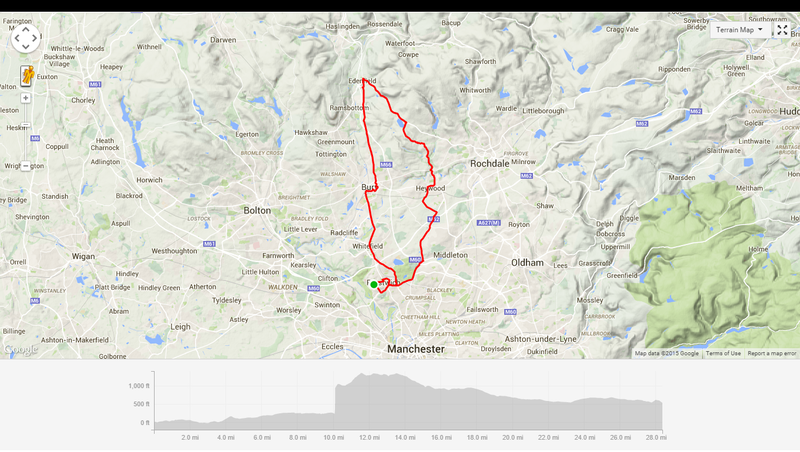 You can find a link to the strava route here.